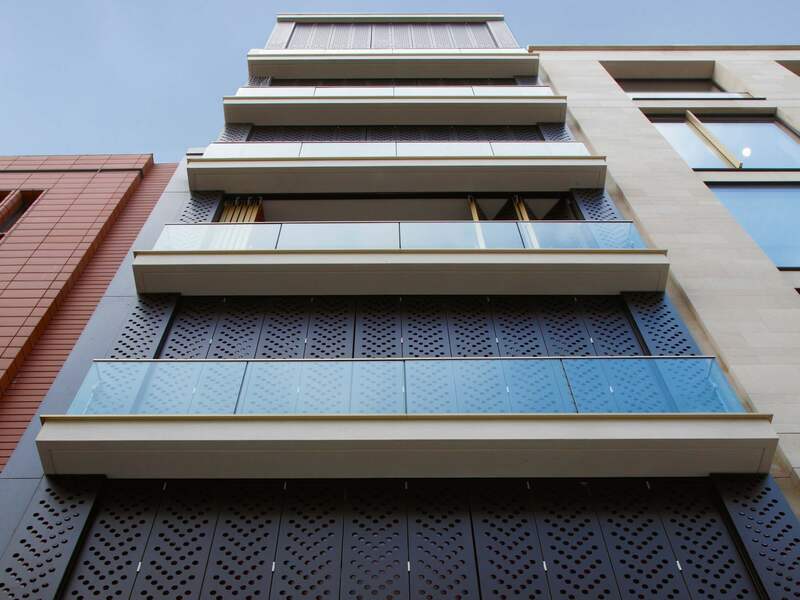 Metalline is able to remain at the forefront of the industry for producing aluminium perforated panels and high grade aluminium panels, fins and pressings. This is due to our continuous investment into state of the art machinery. Clients have specified a wide variety of our products for their building and architectural projects for over 25 years. With each project we deliver the highest quality and outstanding service. 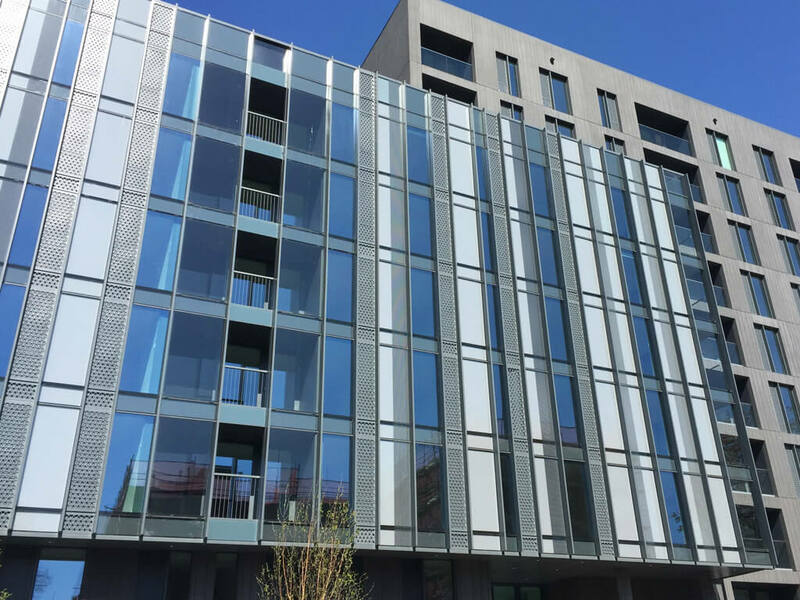 A variety of punching designs have been developed to meet the ever-increasing demands from architects and designers looking for an iconic finish to the exterior façade of their building. We’re able to create everything from simple designs to a more complex pattern. Most design features can be accommodated and Metalline’s production team works closely to achieve designer’s requirements. Unlike stainless steel sheets, aluminium is significantly easier to work with and is much more malleable. This allows designs to be cut with absolute precision and the sheets be worked into more intricate shapes and positions. Another benefit is that unlike steel aluminium does not rust. 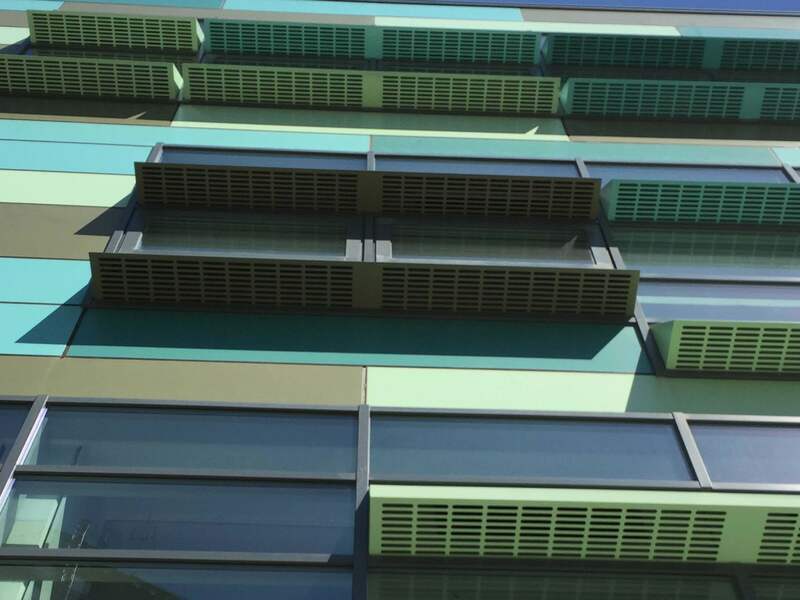 This means that when used on the façade of a building it is extremely resistant to the elements. This ensures your building looks clean and new for as long as possible. 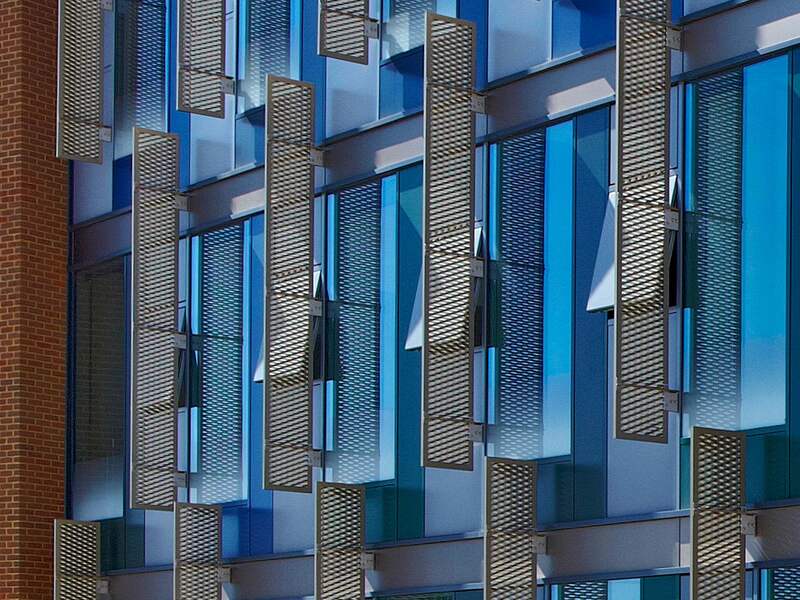 We use Anolok anodising to give our perforated aluminium sheet panels high class finishes. This is available in a choice of colours including Natural Silver, Bronzes from light to dark, Regency Gold 1 & 2, Black and specialist Anolok anodising II Blue-Grey and Stone-Grey finishes. By finishing our sheets with Anolok anodising they are given a contemporary finish and incomparable corrosion endurance. 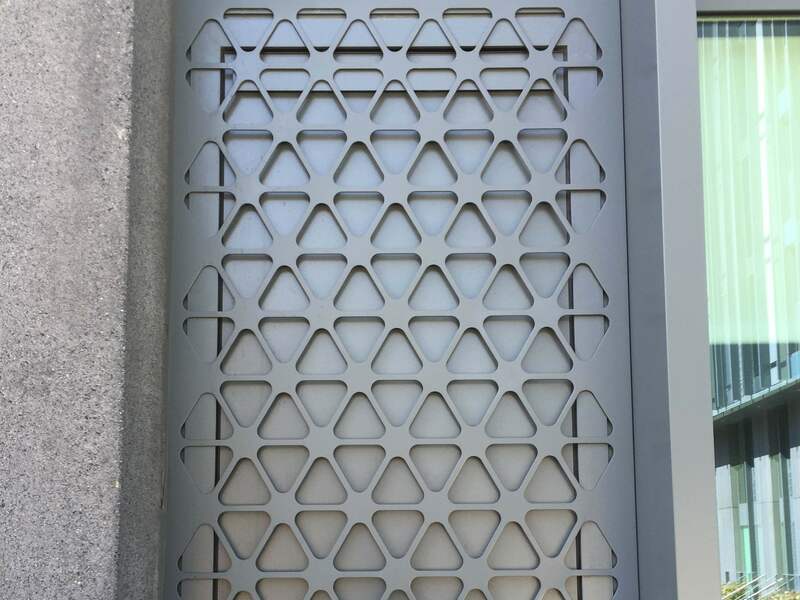 Perforated aluminium sheet panels are also available in polyester powder coating to most RAL and metallic colours. Our top of the line machinery, highly skilled workforce, and expert finishing techniques means that we can turn a metal sheet into something of architectural beauty. For more information on our perforated aluminium sheet range, contact us today! 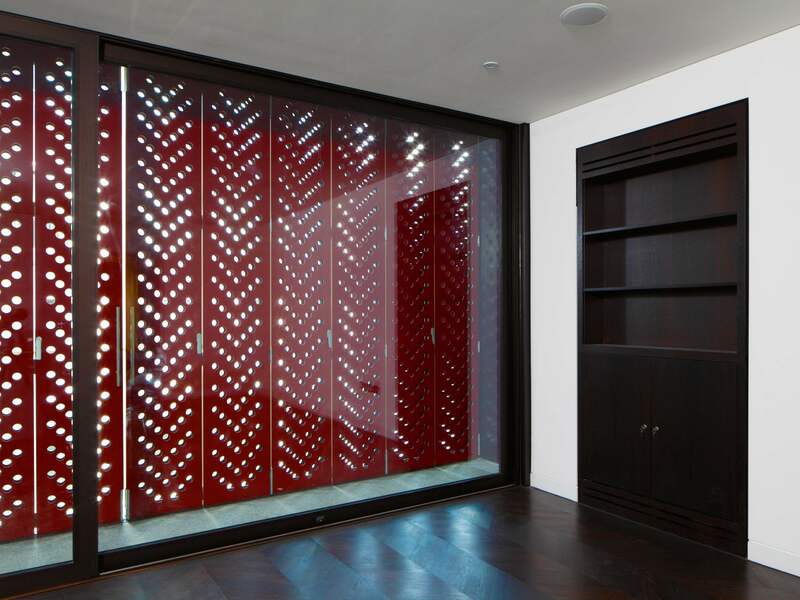 If you are interested in Perforated panels contact us today on sales@metalline.co.uk or 01543 456 930. 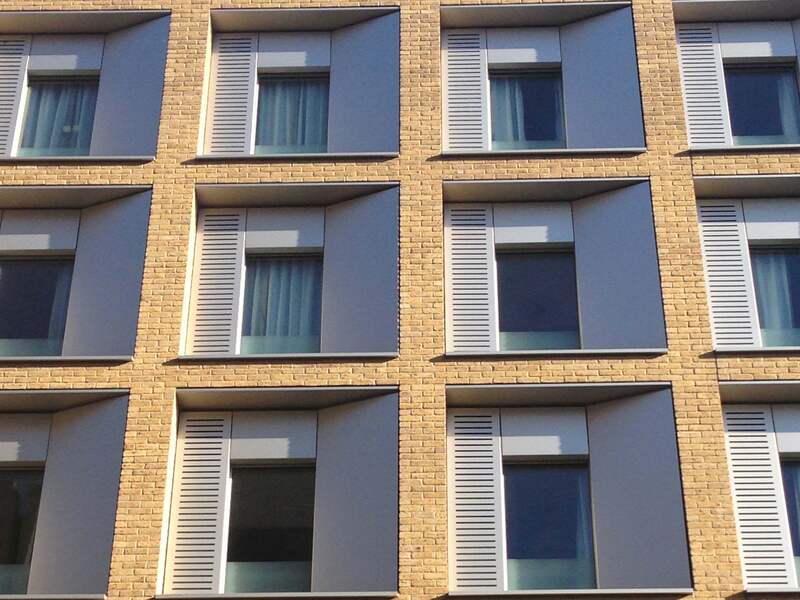 Sandwiched between a retail unit and some 2000 square feet of office space, the seven storey shuttered façade reflects the historical military tailors that used to occupy this part of London. Their tailoring techniques, forms of embroidery and bronze detailed shop fronts were an inspiration for the architects Squire and Partners, whose detailed design of the bronze panelled façade, included glimpses of deep red in the shutter reveals with 45mm diameter punched holes intended to replicate the stripes on a Sergeants uniform. 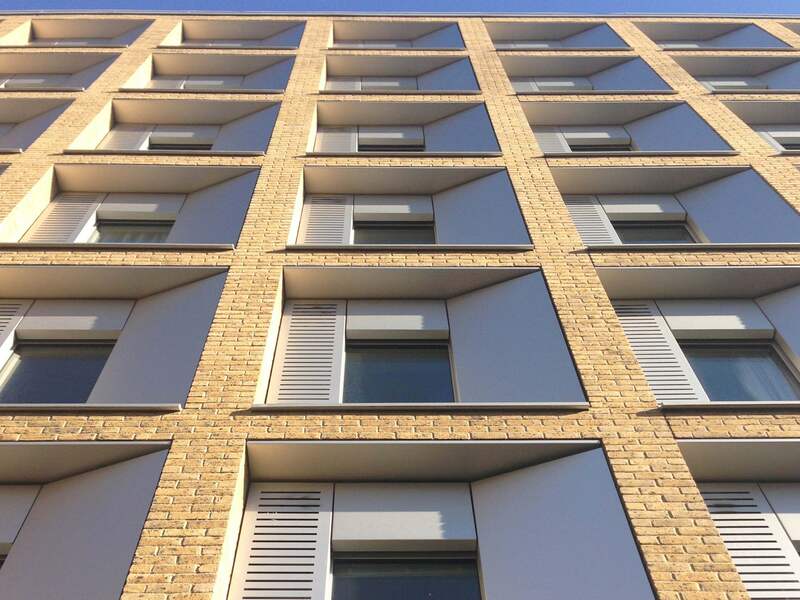 The collection of 182 shared ownership and social rented homes represents the first phase of a major regeneration project, designed to transform the existing derelict brownfield site into a mixed-use riverside community.